ZALORA Discount! 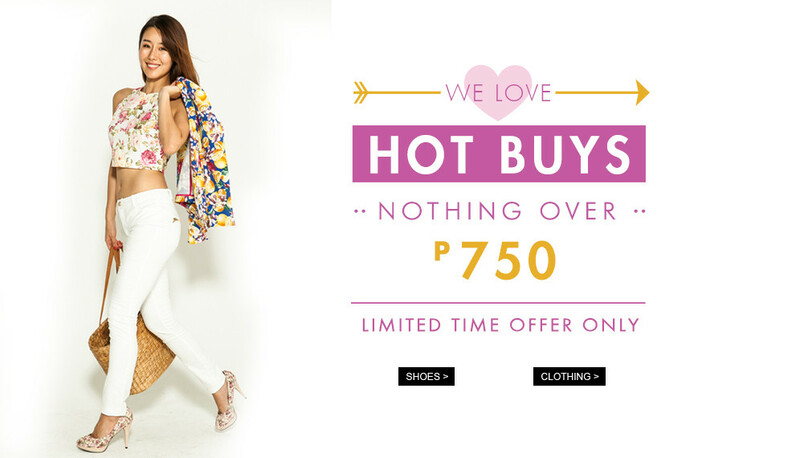 Shop Hot Stuff at P750 and Below Online! Hot Buys! Shop at Zalora Philippines now with Everything at P750! Surprise, surprise! Are you ready for this? Since Zalora Philippines loves you guys so much, we've decided to give you a reason to celebrate just because it's fun! The best one stop online fashion shop in the country introduces a new promo for all you fashion aficionados and casual shoppers alike. For a limited time only, we're selling some of our best and hottest stuff for only P750 and below! Yes, you heard it right. Many of our finest and most fashionable items are going to be sold for no more than P750 and maybe even less than that! Hurry up while you still have time!